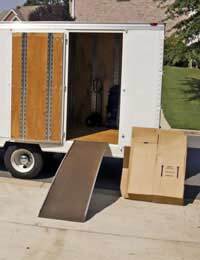 You will find no shortage of removal companies keen to take your hard earned money, but their services differ greatly. If cost is not an issue to you, there are a vast number of organisations that can help both with the packing and the transportation of your possessions. They can arrange for a team of people to pack up your entire house in a couple of days, with everything carefully labelled and make secure. They will then pack up their van with the boxes and deliver them to your new home in a matter of days. Of course, this high end service has a high end price, so you may not be able to choose this option. There are removal companies that specialise in UK to France deliveries and will be able to give you a competitive quote. If you call round a few companies, you will be able to compare prices and let them know that you are a savvy customer! In order to come across as someone who expects a fair price, you need to do your homework. This homework will include making sure you know the cubic volume of your possessions and the rough value of them. All removal companies work on a basis of cubic volume. Many of the companies will have a standard cubic calculator on their website which helps you to make a good estimate – they have dimensions for standard items such as three piece suites and double beds. You do not want to underestimate the cubic volume of your order as this may cause a problem at the eleventh hour when your possessions are collected and there is not room for everything and they will not honour the quote. You also do not want to overestimate as they are unlikely to refund you the difference. Make sure you are insured to the value of the items, as a minimum – some companies only give you a maximum per box rate, which is unlikely to cover the cost of the contents in many cases. Removal companies have tight delivery schedules and with European delivery they are keen to utilise return journeys with other customers. You will need to be both clear and flexible as much as possible – if you have to have your items there by a certain time, say so, but if you can wait for another week for your items to arrive, you may be able to get a far better deal. You can always pack enough for a week or so to have in the car or on the plane. Unless you are able to go for the super removal package, you will probably have to pack yourself. This always takes longer than you imagine and can get rather fraught. Make sure you use every available space – there is no need to use lots of bubble wrap or newspaper if you use towels between crockery and blankets around picture frames. Fill any gaps or holes with socks, pillow cases or bedding. You may think that a certain item is such as distinctive shape that there is no way you will forget what it is. This is not true! Label every box with a general title and a brief description of what is inside. It may take you a little longer at the time, but you will be pleased when you arrive at your new home and you do not have to go through all the boxes marked ‘kitchen’ to find the chopping board.